Once upon a time on the site now occupied by a car park on Ladywell there was a building that provided a basic education for the poorest boys of the town. It was known as the Ragged School. These schools had sprung up in a number of large towns in the late 18th century when philanthropists offered free education for poor children. This was in the hope of getting them off the streets and moulding them into good Christian citizens. Over the following decades, other philanthropists set up similar schools but it was Anthony Ashley Cooper, 7th Earl of Shaftesbury, who in 1844, formed the Ragged School Union and by 1867, approximately 226 Sunday Ragged Schools, 204-day schools and 207 evening schools had been established. Education in Dover, at that time, was provided by numerous small private institutions. For the children of the Anglican Church parishioners, the National School had been established in Queen Street in 1789. This provided a basic and religious education. Although much of the funding was raised by voluntary contributions, the children’s parents were expected to make financial contributions. The Non-Conformists built and opened a British School off Limekiln Street in 1835, with accommodation for 50 scholars. For infants, they opened another school in Adrian Street and at both schools, parents were expected to make a financial contribution towards their children’s education. Like other towns, there were a lot of children whose parents could not afford to provide formal education and these became the concern of two of the members of the Dover Scripture Readers’ Society. Under the aegis of the Society, Christopher Kilvington Worsfold and William Rutley Mowll took the initiative to set up a Ragged School in Dover. 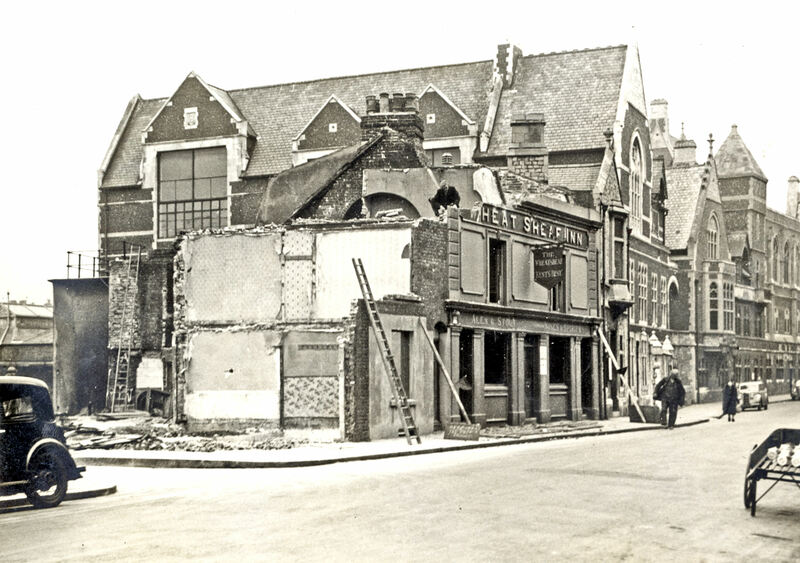 The Mayor, Steriker Finnis, agreed for the Society to use an empty building on Ladywell next to the then Wheatsheaf Inn. The Boys’ Ragged School opened on 1 January 1850 and the stated aim of the school was, ‘the ignorant, vicious and degraded vagrant is reclaimed and changed into the industrious, useful and peaceable subject.‘ The objective was to provide basic elementary instruction based on the, ‘Word of God, for the sadly neglected children whose parents, through extreme poverty and, in many instances, through extreme depravity, are unable and unwilling to send them to the day schools already in existence.’ The school was not part of the Ragged School Union. Edward Leach was appointed as Superintendent at an annual salary of £8 16shillings. His job was to be in charge of the school and classes, to visit the parents of the boys and to seek out those who had not placed themselves within the schools influence. Initially the school only opened for an hour on Sunday afternoons, later it opened every weekday evening for 1½hours. It was supported by voluntary subscriptions and the teachers were all male volunteers belonging to Dover‘s affluent commercial society. These included builder – Parker Ayres, solicitor – Michael Elwin, brewer – Alfred Kingsford, solicitor – Edward Knocker and tannery owner – William Mummery. The boys’, for the most part, were between 10 and 15 years old and seduced into attending by the possibility of a free food, such as bread and cheese. The classes were to be opened with a prayer and parables from the Bible, which were read out and explained before the boys were taught basic reading skills and arithmetic. However, the well-meaning philanthropists found that the boys extremely difficult to manage and so rules and punishment, consistent with 19th century schools, were introduced. Another problem that quickly became apparent was that basic hygiene was lacking. Most pupils were vermin ridden and many were of a poor physical constitution due to under-nourishment. This was of particular concern, as the aim of the school was to turn out industrious young men. It was for this reason, so it would appear, that personal hygiene (a good scrub) became part of the curriculum. In reality, most of the pupils worked very long hours in poorly paid, dirty, jobs that provided much needed income for their families. Albeit, most of the boys worked hard and it became necessary to introduce higher standard classes at the same time as taking their day jobs into account. It was noticeable that attendance to the evening weekday classes was greater than the Sunday classes, so they were increased. In the summer months, many of the poor families worked in the brickfields working from dawn to dusk. During this time the attendance was poor. Besides learning basic educational skills and scriptures, the teachers gave talks on their special interests. For instance, Edward Knocker would give talks on local history, William Mummery on natural history and William Mowll on astronomy. The highlight of the year was Christmas Day, when roast beef, potatoes and plum pudding was served along with a present of an orange. In 1853 some 184 hungry boys turned up for Christmas lunch, the following years attendance was rationed by ticket. 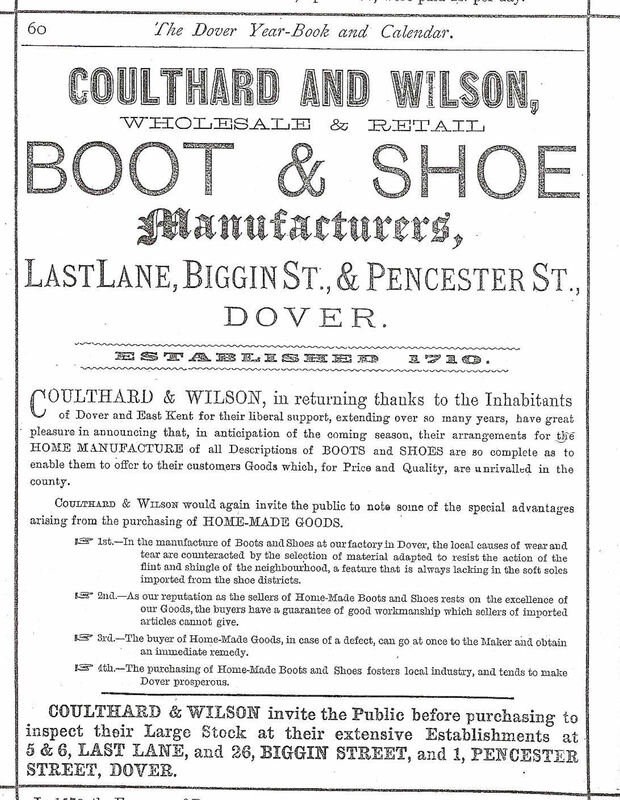 Archibald Wilson, of Coultard and Wilson the shoemakers, lived at 7 Market Street. 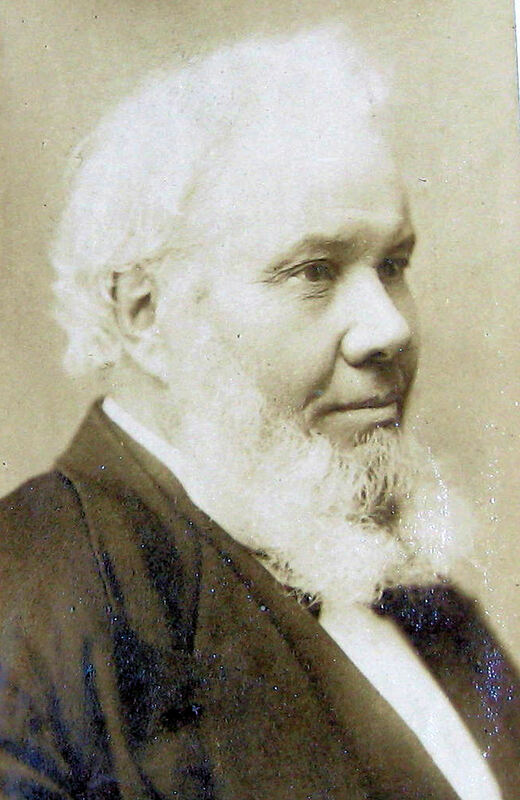 Recognising that many of the graduates of the Ragged school would not be eligible, due to lack of finance and connections, for apprenticeships, he opened his home as a training centre in 1852. Although most of the young men had physically demanding day jobs, the number who came for training in a skill, soon overwhelmed the Wilson household. 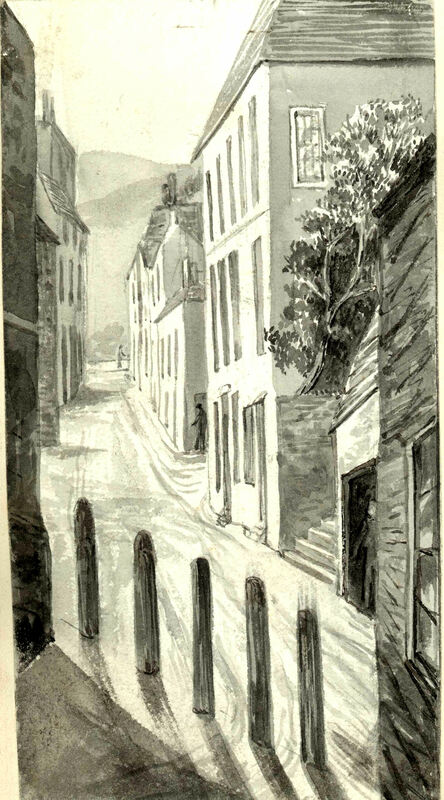 The Wilson’s purchased adjacent houses but the Dover Institute, as it was called, outgrew these premises. 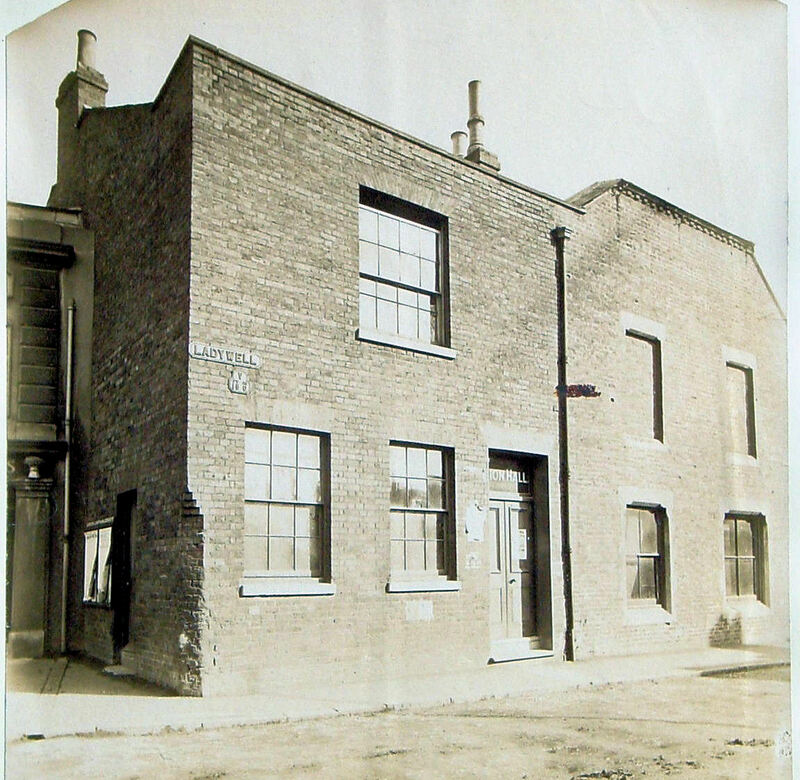 In 1873, to mark the 21st anniversary the Institute moved to 6 Biggin Street. The prime instigators were Canon Puckle of St Mary’s Church and Arthur Walmisley, Dover Harbour Board’s engineer, who was the president. Edward Worsfold, DHB accountant, succeeded him in 1904. On 19 November that year, following a major refurbishment including a new larger library, reading rooms and teaching rooms, Dover’s Member of Parliament, George Wyndham opened the altered premises. The Institute finally closed its doors in 1934 and was converted into Dover’s first public library. What had originally been Archibald’s home, with its myriad of annexes, became the Lawson Hall and used for religious and philanthropic purposes. For girls, the fee-paying School of Industry was established in 1818 to provide training for sixty in Queen Street. Many of the pupils came from Non-Conformist families and were required to attend some place of worship every Sunday. In 1827 purpose built premises opened on Durham Hill and the new School of Industry was considered one of the finest of its type in Kent. After 1870, the school was used for religious meetings. Those who were too poor to attend the School of Industry or the National School, education or/and training of any kind was not on the agenda. For those girls who survived to adulthood the future was bleak, working long hours in dirty, low skilled jobs for a pittance or prostitution was where their future lay. 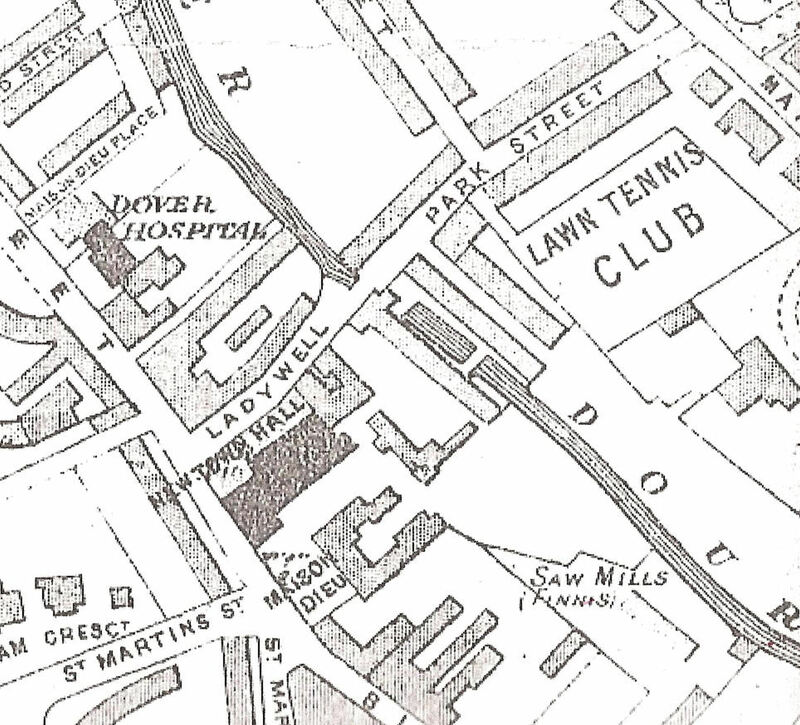 The women of Dover’s affluent commercial classes, found premises in Adrian Street at the Non-Conformist infants’ school and the girls’ Ragged school opened on Sunday afternoons. The would-be pupils, who ventured in, like their male counterparts came for the prospect of something to eat. Like their male counterparts they were also filthy and foul mouthed with many having poor physical constitutions. The lack of any form of the refinement meant that they would never find work as domestic servants, as had been envisaged by those who had set up the school. 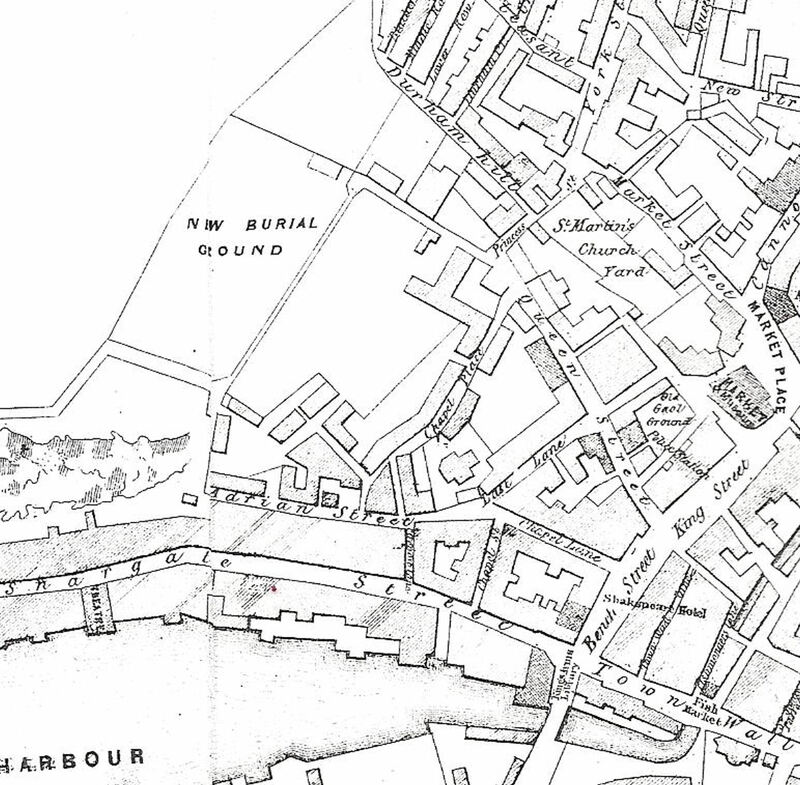 Later, an ‘Industrial Branch’ was set up and based on the curriculum of the nearby School of Industry. At the Ragged School, the girls’ were taught to ‘make apparel’ for themselves from materials supplied and afterwards they could purchase their handiwork at half the cost of the material and by weekly instalments. Some of these girls went on to work as dressmakers, milliners as well as domestic servants. A number of the girls came back to teach even though they were working approximately 60-hours a week. Clothing and shoe clubs were established at both Ragged Schools, and a lending library was attached to the Adrian Street school. 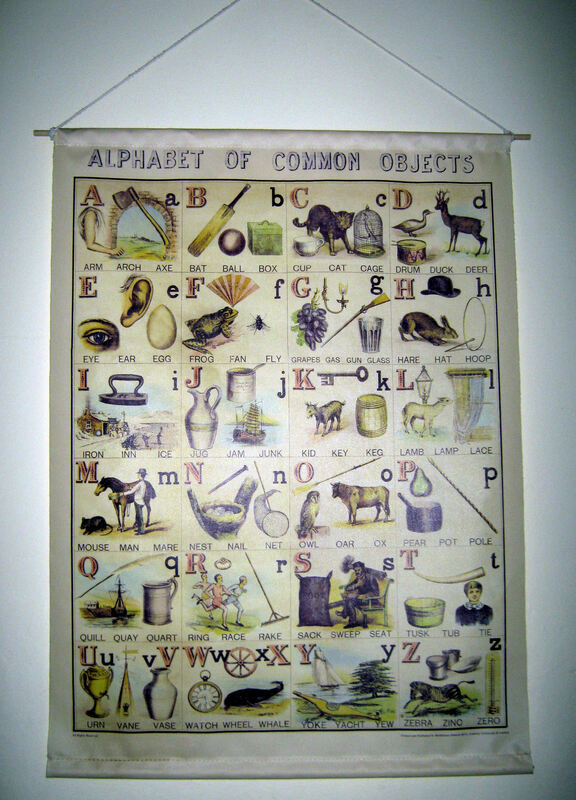 Pupils and their mothers used this, with young girls teaching their mothers how to read. A report of 1856 states that the girls’ school was open from 14.00hrs to 16.00hrs every day except Saturday, and that attendance each day was on average 120. During the summer months, there were additional classes for older girls between 18.00hrs and 20.00hrs three times a week and on Monday evenings, there was special class for the mothers of pupils. One of the major problems that both schools faced was parents. Some were very hostile as the schools were giving their offspring ‘ideas beyond their perceived station.’ It was not unknown for father’s to physically attack the school premises yelling that their children should be out earning/begging for money. However, co-operation was sort by regular visits to their parents homes and eventually some of the father’s attended religious services held every Sunday and Tuesday evenings at the Boys’ school. Afterwards, on special occasions, the children were given bread, cheese and lemonade. Those who ran schools felt that some children would have a better chance in life if they were removed from the ‘degraded homes and placed in excellent institutions in the metropolis.’ It appears that consent was sort of the parents but the way service was administered shows a lack of sympathy for the emotional impact this caused. Following the Education Act of 1870, the government provided grants for elementary education but in Dover, the School Managers – political appointees – could not see the necessity of applying. The major concern was that the implementation of the Act would increase rates too much. Elsewhere in the country, the Ragged schools were being superseded by elementary schools but Dover’s Ragged school was one of the last to go in about 1892. Before the century was out an independent report stated that there was insufficient accommodation in Dover schools to meet government requirements. It went on to say that, ‘the town’s voluntary schools were poorly equipped, lacked playgrounds and were deficient in sanitary arrangements.’ It was not until the Education Act of 1902, designed to unify the country’s elementary school system, that Dover started to make an effort to educated the less well off children – it was the last town in the country to do so. This entry was posted in Ragged Schools, Schools and Education. Bookmark the permalink.